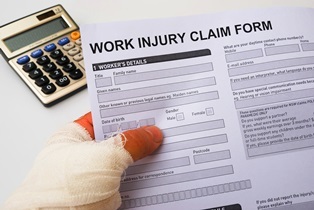 Florida Workers' Compensation Deadlines | Law Office of Andrew G. Rosenberg, P.A. You’ve taken the first step toward your workplace injury recovery by getting medical care. Now, you may be wondering what you should do to protect your workers’ compensation claim and how long you have to take the required actions. 30 days to report your injury to your employer. Florida law allows for a few exceptions to this general rule. Specifically, the 30-day reporting rule may be extended if your employer had actual knowledge of your injury, the cause of the injury couldn't be identified without a medical opinion and you notified your employer within 30 days of receiving that medical opinion, your employer didn't put you on notice of the 30 day reporting requirement by posting that requirement, or exceptional circumstances exist that justify your failure to report the injury. Two years to file a petition for workers’ compensation benefits. This deadline may also be extended in certain circumstances. For example, you may have additional time to file your petition if you were hurt while as a minor or while you were mentally incompetent. Whether or not an exception applies, you must always report your injury and file your petition before the deadline approaches. If you miss one of these deadlines, you might not be able to receive any workers’ compensation benefits at all. While Florida statutes provide a time by which you must notify your employer and file a workers’ compensation petition, Florida law doesn't prevent you from contacting a workers’ compensation lawyer, notifying your employer, or filing a workers’ comp petition early. Instead, there are benefits to contacting a workers’ comp attorney as soon as possible. Your lawyer can review your claim, can make sure your employer is notified, and file your workers’ compensation petition. The sooner all of this happens, the more available evidence there will be and the sooner you'll receive benefits. To learn more, please contact the Law Office of Andrew G. Rosenberg, P.A. today for a free confidential consultation. Reach us by phone or through the contact form on this page at your convenience.